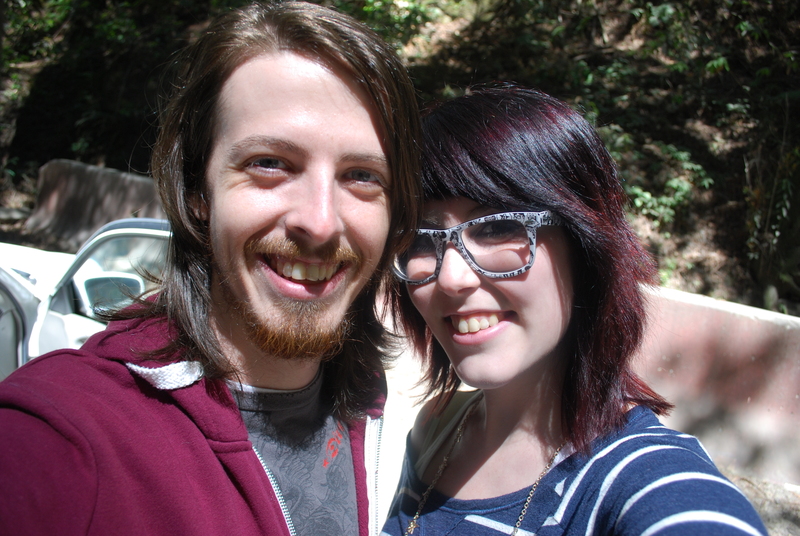 A couple days ago, Jessie and I ventured out to Santa Cruz. We basically did it to escape the vile wrath of summer here in Rocklin, where it was pushing 110 and where life suddenly become increasingly miserable when a bathing suit and cold showers couldn’t even shake the heat stroke. Remind me why I’m not living in Seattle?? Anywho, we figured going to the ocean would be part relaxation, part romantic and part escapism, so we headed to the California coast. Everyone loves the ocean. Because if they exist, they must obviously be creations of the devil and burned at the stake immediately. 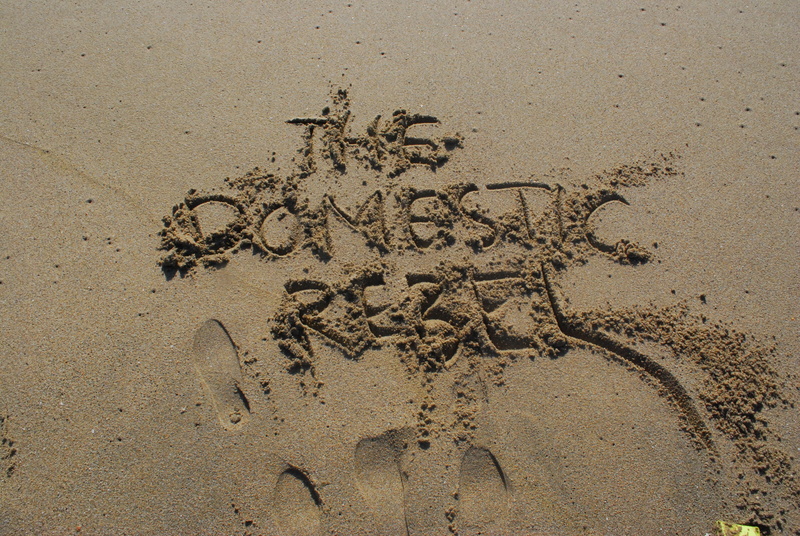 Personally, I know that if I lived within walking distance of a beach, you couldn’t get me to come home. I’d be blogging there, picnicking there, walking and running there, yoga-ing there (yeah, I’d do yoga only if I lived near a beach), reading there… everything. I’d probably stop cooking dinner and demand everyone come to the beach for an impromptu BBQ every single night. But we don’t live near the beach and are sadly three hours from Santa Cruz, so when we take day trips, we try to make ’em count. In lieu of a post, I’m going to post pictures of the ocean and outrageous burgers because they are far more vast and thought-provoking and majestic than any story I could talk about [sometimes]. If you’re in the SC area, you MUST stop here. Local ingredients, house veggie patties (not those frozen pucks–yuck), donut buns(!!) and MAC AND CHEESE BURGERS. That, my friends, is macaroni and cheese on a burger. Because I am insane. And now I never want a mac and cheeseless burger again. For serious. Note: American Flag shorts. Yeah, I’m patriotic. True patriots wear American Flag shorts and eat mac and cheese on their burgers, FYI. 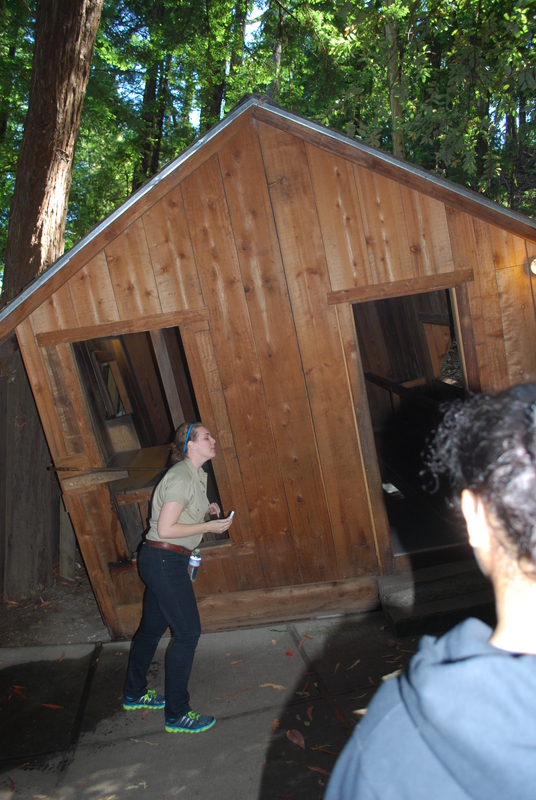 Then we went to the Mystery Spot: a cheesy, typical touristy destination though I’ve never been. Basically, folklore has it that either there’s a hole in the O-zone layer directly above the spot, tricking out gravity and whatnot, or there’s an alien space-craft directly below it and some kind of Sci-Fi vortex pull happening. 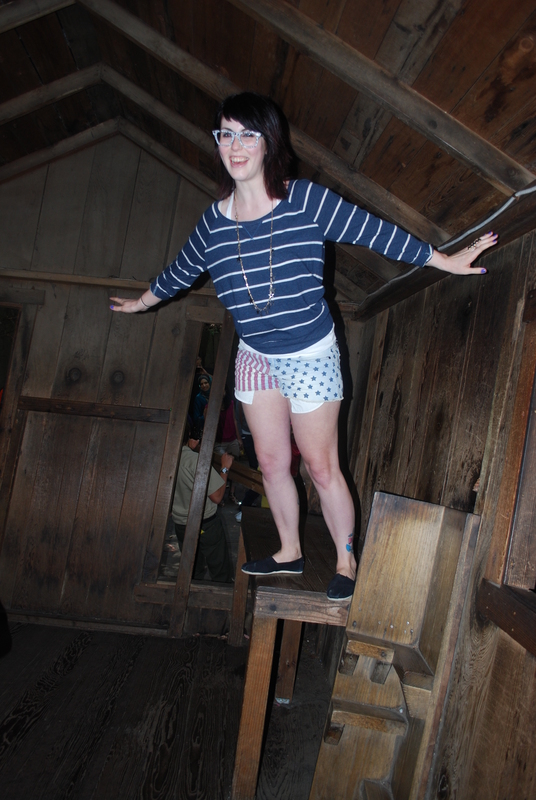 Either way, I stood straight up on that table and because the gravity is wonky there, looked like Superman, complete with manly legs. There’s the shed. Freaky stuff, man!! Normally, I would have been hungry pretty soon after that monster burger (yeah, I’m hungry always) but the whole day, I survived on the burger alone. By the time I came home, I wanted something sweet and easy–and let’s face it, something that wouldn’t weigh me down like a huge turkey patty stuffed with avocado and mac. 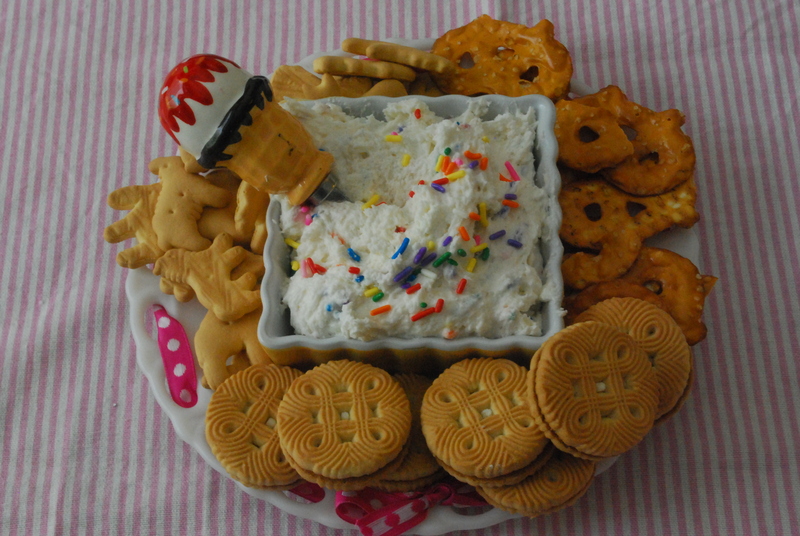 So it was no question I was going to gobble up this Skinny Funfetti Dip. After seeing it on Eat Yourself Skinny, I knew I had to make it. 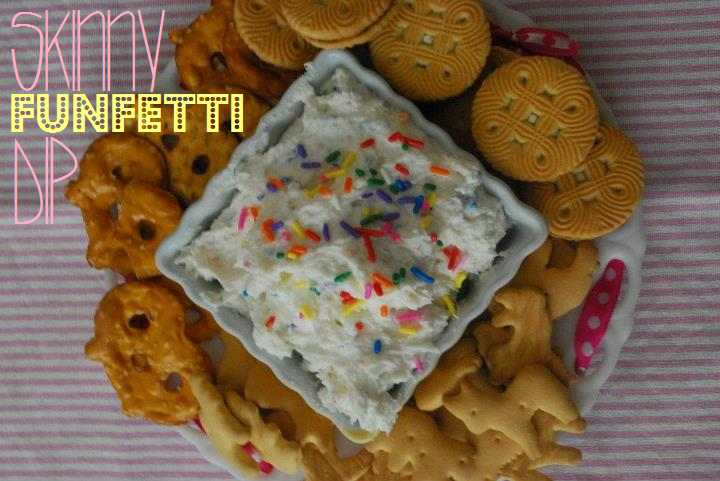 Light, yet rich Funfetti cake batter-flavored dip?! It practically was invented for me. So uh, you need to make it pretty soon because otherwise, you’d really be missing out. 1. In a large bowl, mix together the cake mix, yogurt and Cool Whip, stirring thoroughly until all the cake powder has been absorbed (mixture will be really thick if you use the Greek yogurt). 2. 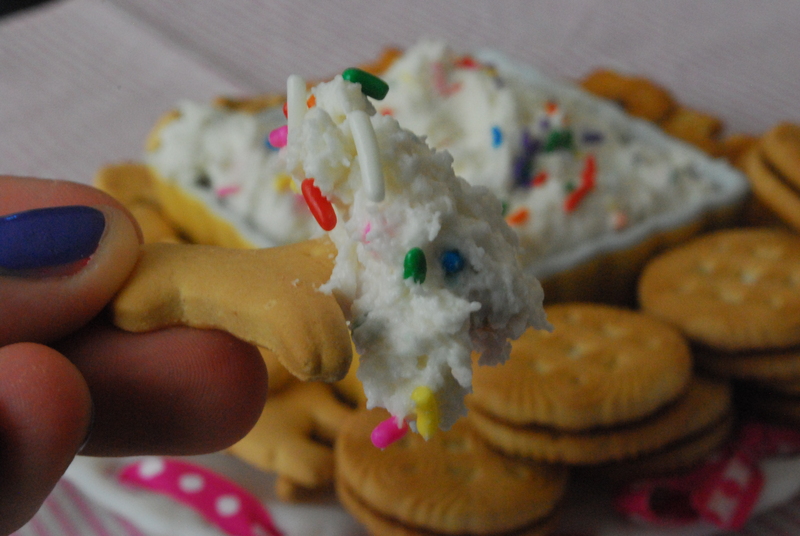 Fold the remaining sprinkles into the dip, and cover the dip with plastic wrap. 3. Allow the dip to chill in the fridge up to 4 hours. 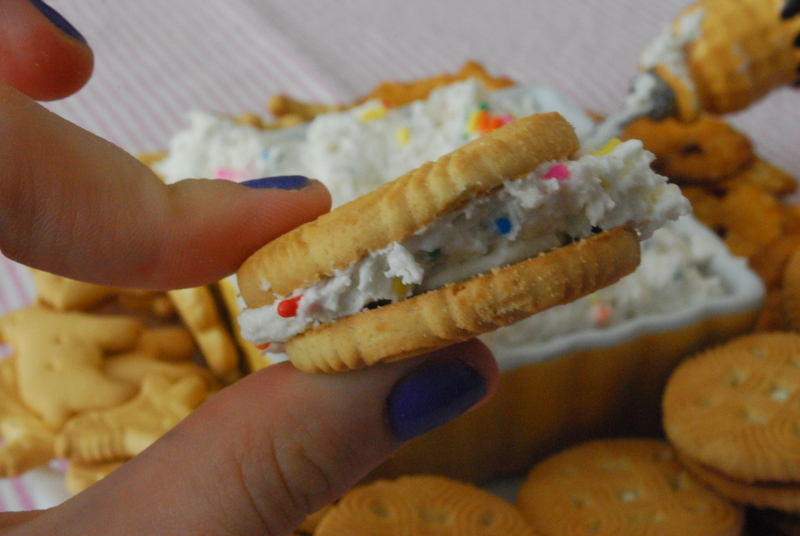 Cake batter, meet Oreos. Sandwich time. Now, where is that burger? 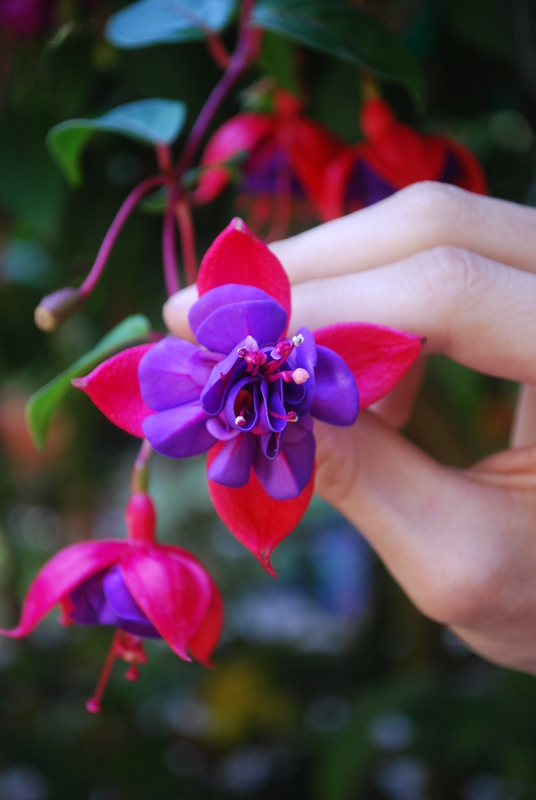 I love the photos! This sounds crazy good. 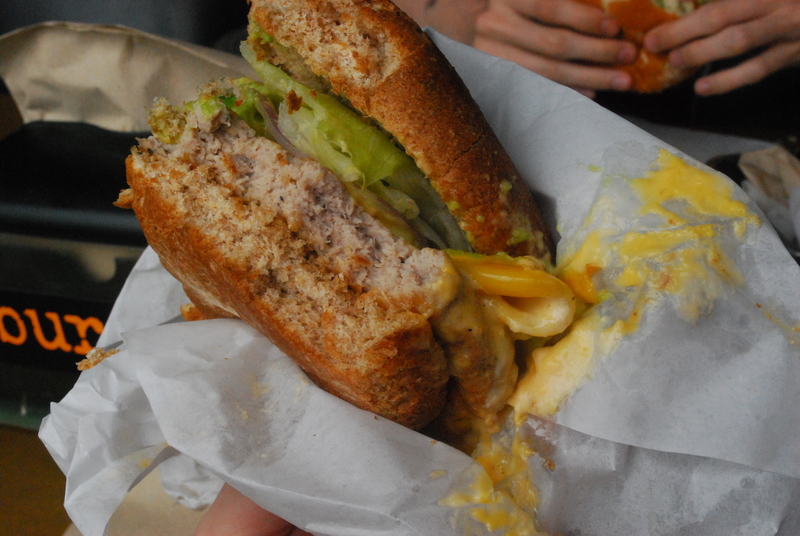 Mac & Cheese burger? WHAAAAT? I want one in my belly now (and I don’t care that it’s 8:30 am). Me either! Road-trip?! Let’s go! 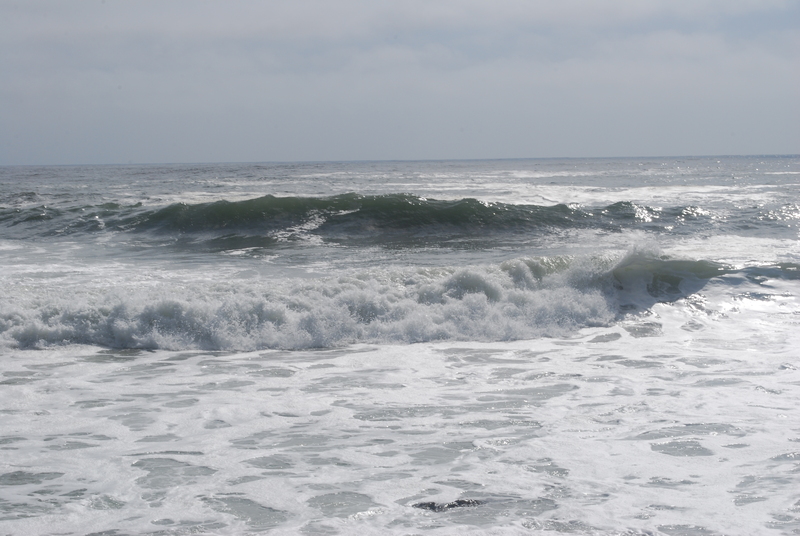 I’ve never been to the ocean California is on my list! (I’ve never been further west than Denver Colorado). Your pictures make me want to go even more. And that dip looks deadly….and FABULOUS! Oh man, you should totally go!! The California coast is beautiful, always has wonderful weather, and nothing beats driving down Highway 1 the entire time (you can seriously pull over any moment for an impromptu run in the water–it’s that close to so many beaches!) Gorgeous stuff. 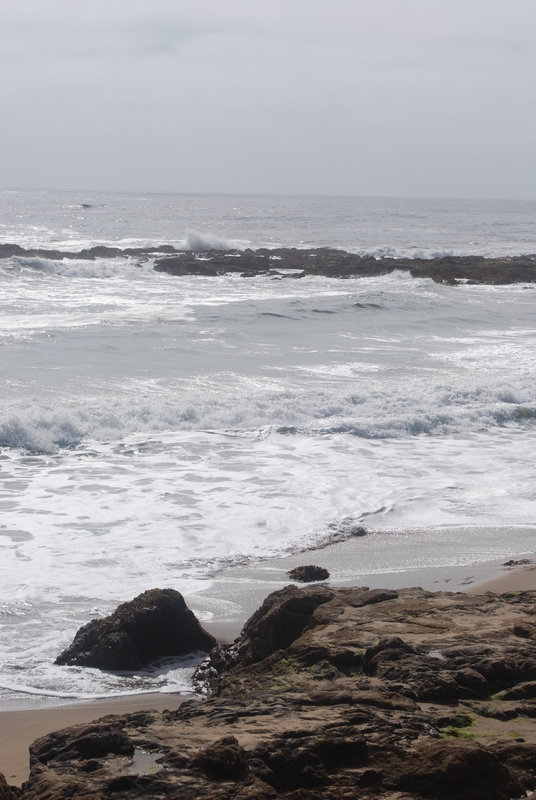 I would totally live close to the ocean if I could…it’s one of my favorite places to be! Blogging and beaching all in one…yes please:-) My youngest would totally flip for that mac and cheese burger. One of these days we are going to take a vacation to the west coast because your pics have me wanting to visit so bad!!! And skinny dip, now that’s a bandwagon I need to jump on! Oh Jocelyn, you totally should! The West Coast rocks! yes, I’m biased, how did you know?! And I’m sure you’d love the beaches here and of course, the bloggers 🙂 haha. Yes, I did! Get them so we can be cross-country twins 🙂 they’re awesome! And you MUST recreate this as well!! I spy your rad flag shorts! I am so jealous of your proximity to the ocean. Your day trip sounds awesome! Next time pencil me in, mmmkay? I am pretty anti ground beef, so that turkey burger looks perfect! And with mac and cheese? Who knew? This dip looks like straight up frosting, which is code for Iwanttoeatthewholebowl. Yum! Oh my gosh, how cute are you?!?! It looks like you had a great time on your day trip, and I can’t tell you how insanely jealous I am that I don’t have an ocean even remotely close to where I live! 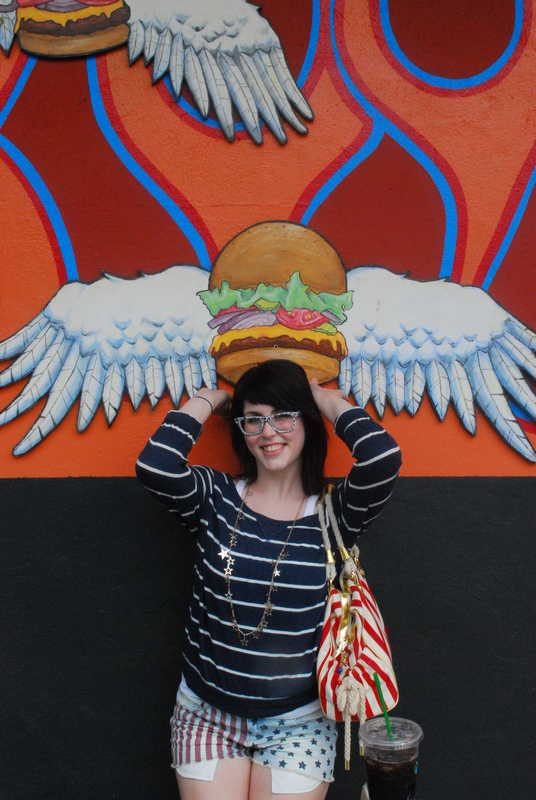 And also, I’ve GOT to find a mac-n-cheese burger! 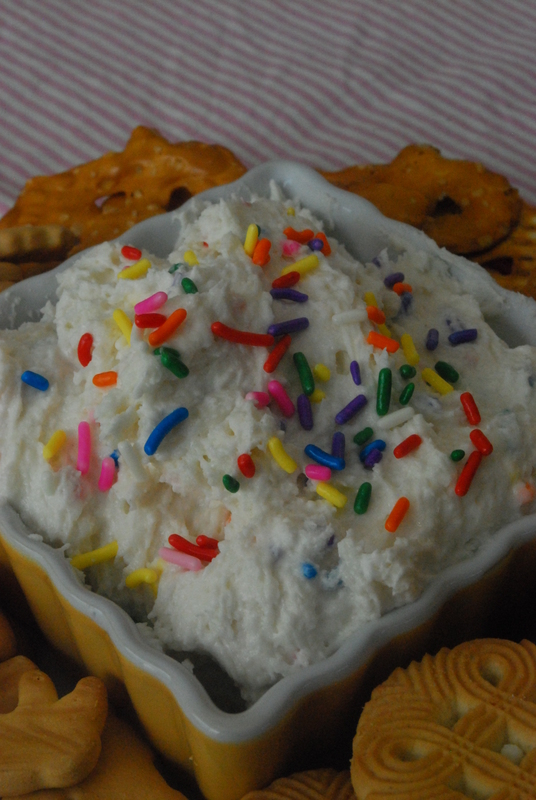 In the meantime, though, I’ll just scoop up copious amounts of this funfetti dip, because it looks outrageously good. Ohmygosh those pics are so fun! I was meaning to call you to see how your trip went. 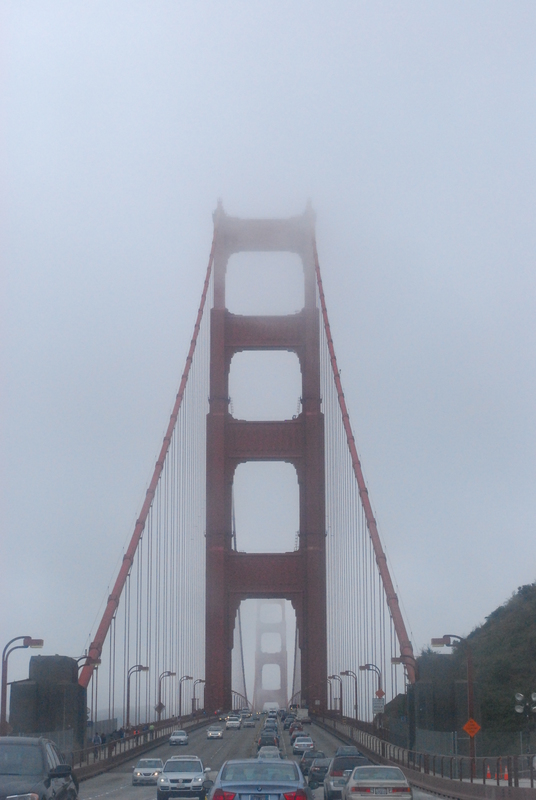 That shot of the golden gate, LOVE it. And I think I love this dip even more! 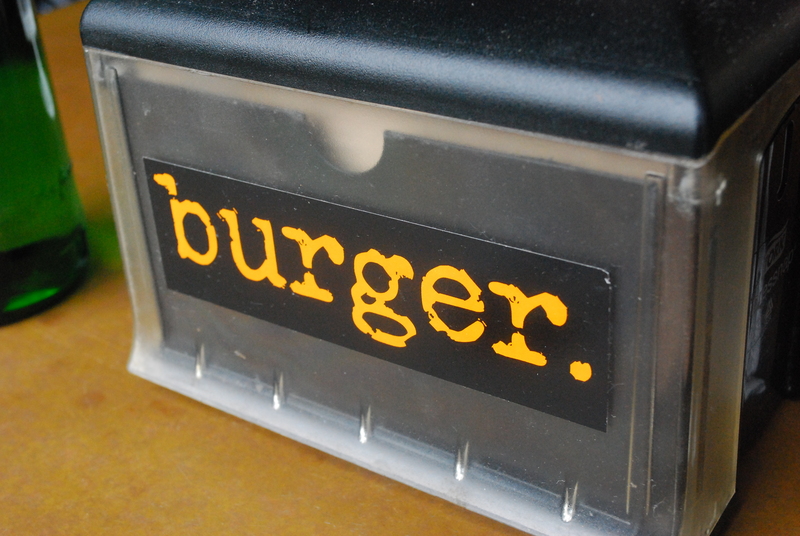 BURGER! i live right up the street. next time you should go for the phatty. bacon cheeseburger sandwiched between two grilled cheeses. it will change your life! OHMAHGAWD, I saw the phatty and wanted it, too! Or the donut buns–the jello biafra one or something? Daaaaamn son, twas rockin’. And I’m obsessed with that sauce they give you with the sweet potato fries. It’s like crack, duude. How do you not weigh 35987385945 pounds living down the street from burger?! oh god yes. their sweet potato fries. and the house special sauce. i think the only reason i’m not there all the time is because of all the OTHER places with good food to stuff my face with around here! you have to come back and eat your way through this city. OMG, suggestions please!! Jessie and I are always looking for awesome places to check out in SF and SC when we visit. Any other good places you recommend? you HAVE to try penny’s creamery! they make all of their ice cream in their shop with local ingredients. the flavors change every week and they’re always super cool (personal favorites- chocolate olive oil sea salt, white chocolate strawberry, cinnamon oatmeal walnut). AMAZING. Holy crap, that cinnamon oatmeal walnut sounds AWESOME. Yeah, thank you for that one; we’ll definitely visit Penny’s next time we’re down there!! Thank you!